As announced by stalwart British development group Team 17, Worms W.M.D is bringing its microscopic warfare to the Nintendo Switch soon.. The turn-based warfare game, which was released last year on current gen consoles, features all the comical aspects of armageddon fans have come to expect from the now 20-year-old franchise, but also included new features such as vehicular mayhem and tower-based fortifications. The Switch port will feature all of the content from the previous W.M.D release, as well as both local and online multiplayer and even new stage themes and fun customisation options for your annelid anarchists (oh yes). 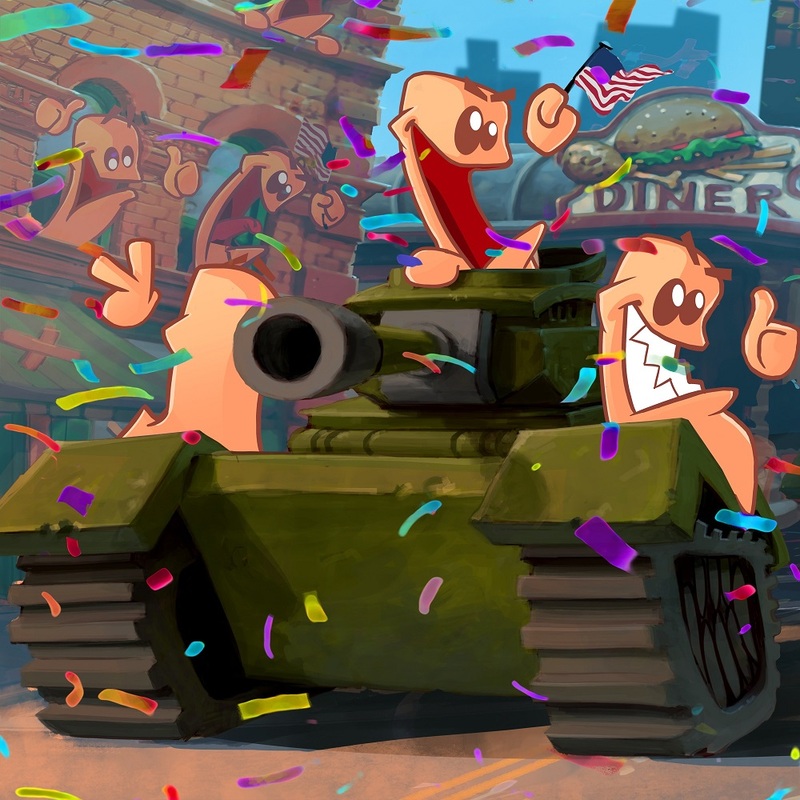 Worms W.M.D seems custom-made for the Nintendo device, with the Switch's mobility allowing you to take the game wherever you want to play with a bevy of chums, The game is scheduled for release sometime in the fourth quarter of this year.